Recorded at Sam Phillips' Studio in Memphis and produced by Alex Chilton (the Box Tops' former Big Star), Songs The Lord Taught Us fries the brain cells like nothing under God's holy firmament. The album recalls every forgotten sleazy diner, every stinking bus terminal, every weather-beaten drive-in you've ever been in or dreamt of. It unleashes a noise so loud, so uncontrolled, so jittering and shivering with the nightmares of a thousand-and-one restless nights, that one may be moved to run in panic, switch on the lights, and cower in the nearest closet. If the B-52's seem attuned to the camp of Cat Women of the Moon and other sci-fi trash, the Cramps have mastered the aesthetics of horror schlock (It's Alive, Last House on the Left). With his two-tone hair and a face that looks like it's been gnawed on by rats, guitarist Bryan Gregory undoubtedly eats gore for breakfast. The band's other guitarist, Poison Ivy (Rorschach), possesses a frigid-and-frizzly grace that bears a striking resemblance to a dead-and-buried Jane Fonda. Along with their image, the Cramps' musical carnage is explicitly concerned with horrific content. What could be more frightening than an album which begins with these lyrics – "Baby, I see you in my TV set/I cut your head off and put it in my TV set/I use your eyeballs for dials on my TV set/I watch TV since I put you in my TV set..."? Or, consider the horror story of ‘Zombie Dance’, a ghastly event (unlike the B-52's wild beach parties) where nobody moves. Although they do have a grisly and gruesome ability to strike terror in our hearts, that isn't the Cramps' forte. What's so captivating about this band is their willingness to junk everything (musical ability, the record's mix, fame and fortune) in favor of the elusive shudder of primitive rock and roll. With the discernment of genuine trash aesthetes, they combine the sloppy ineptitude of a mid-'60s garage band with the mental derangement of an American rockabilly Dixie-fryer. The intent of their commitment to garbage is quite clear: It's truly the only way to topple the current hegemony of art-rockers strangling us with their thin neckties and boring us to tears with their clean-cut rhythms. 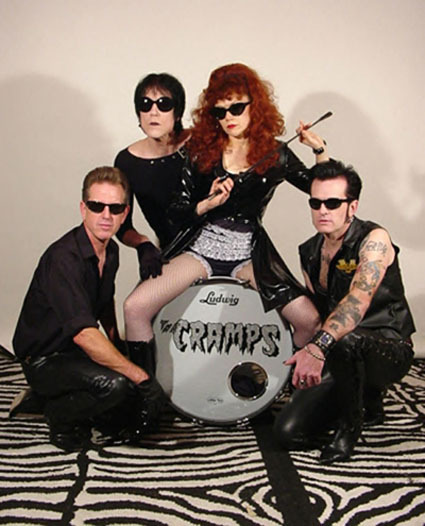 Amidst the sound of flushing toilets and rumbling garbage trucks on "Garbageman," the Cramps' message manifests itself as plainly as the untuned guitar reveal the band's impulsive nature. "You ain't no punk, you punk!" rants vocalist Lux Interior, baring his fangs while foam collects around the corners of his mouth. "Ya wanna talk about the real junk?!" Yet the Cramps ain't just talking trash. Their album may not contain faithful renditions of the classics, but there's a muddled nobility in what the band does choose to recreate. The material ranges from Dwight Pullen's rockabilly obscurity, "Sunglasses After Dark," to the Sonics' deadly explosion, "Strychnine." In between, the band bombards us with musical salutes to the immortals – Count Five ("I'm Cramped"), The Trashmen ("The Mad Daddy"), and Link Wray (every cut). The album even concludes with a spooky interpretation of Little Willie John's "Fever," dramatically transformed into the mumbo-jumbo of a pyromaniac. 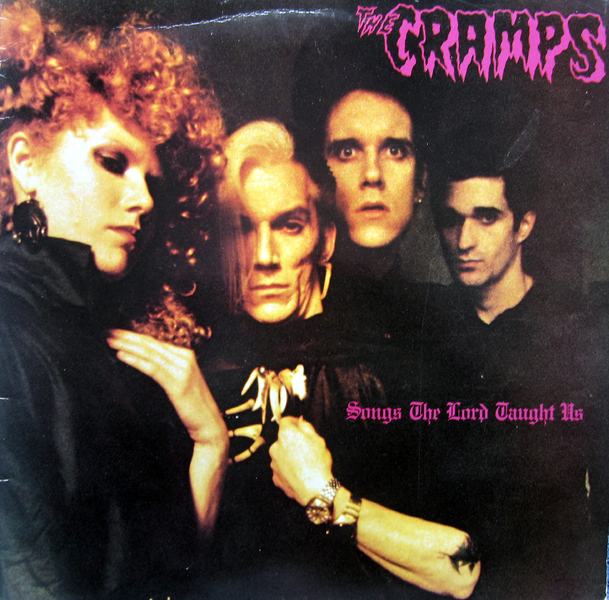 On Songs The Lord Taught Us, the Cramps ask the profound question that we must face to overcome our present spiritual malaise: "Louie, Louie, Louie, Loui-i-I...the bird's the word, and do you know why?" Clearly the Cramps do, for not since the Hombres' Let It Out has there truly been a more authentic album expressing the American punk sensibility.